If "No Fire Spread" acts exactly as you want though, then great! But if you want more detailed control over fire behavior, go to the link above! Ever wanted to prevent massive server lag from forest fires? Or maybe just keep your netherrack fireplace (enclosed in cobble) from lighting up your wooden house? Don't like how the "/gamerule doFireTick false" command also stops fires from destroying blocks or being extinguished naturally? Well, when installed, this mod prevents fire from spreading more fire, WITHOUT the unnecessary features of the related gamerule command. Fire can still be created by all other sources (flint and steel, lava, ghast fireballs) but will not spread further after being set (it may seem to from eg. lava but that's just the lava itself causing fires). Fire still breaks blocks! On this note, keep in mind that fire has the ability to break any flammable block adjacent to it (not just the one below the fire). I created this mod for my own use, in a modpack that includes "Better with Mods", which requires the ability to set fires under cauldrons, kilns, etc. I did not want "eternal fire" on the logs under my cauldron (because that breaks game balance) and I did not want fire to spread (due to eg. forest fires causing massive server lag). By these factors combined(!) I could not solve the issue with the vanilla server properties, and did not find a suitable mod on this site, so I made one. Yes, you can use it in your modpack if you want (MIT license). You think you could make a mod that makes fire spread crazy like how it was in Beta 1.5? This mod is about the closest I could find to a mod controlling the spread rate of a fire. The code for such a mod would be extremely similar to what I already have. In fact it wouldn't be that hard to make the same mod configurable to do either thing. I'm just not sure the feature would fit in with my current mod name so I'll have to put some thought into it on that end (tell me if you have any ideas there ofc). Even though the code will be nearly identical, I may release it as a separate mod, because having the words "no fire spread" in the current mod's name should let people find it more easily (instead of renaming the mod to "Controlled Burn", though I may also make a combination of the 2 and name it that) and having a feature that increases spread rate in a mod named "No Fire Spread" is counter-intuitive. 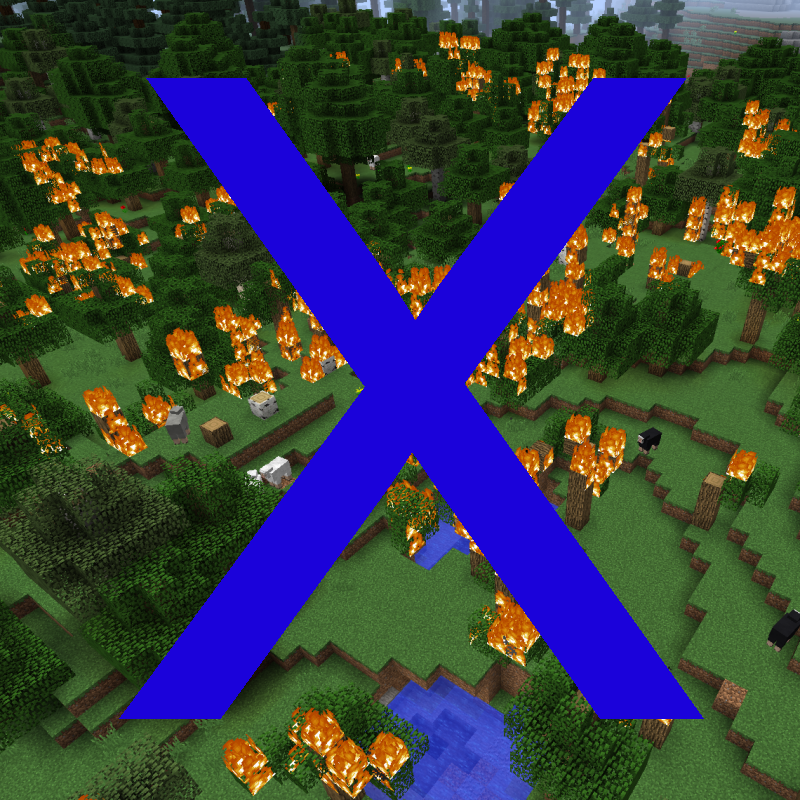 tldr; expect me to release a mod named "Fast Fire Spread" over this weekend sometime, and possibly another named "Controlled Burn" that combines the features of "No Fire Spread" and "Fast Fire Spread". Hopefully the authoring of a few similar mods doesn't throw any red flags here.